The Elite Two-Piece Race Suit is a high-end motorcycle racing suit, with features that make it rise above the competition. 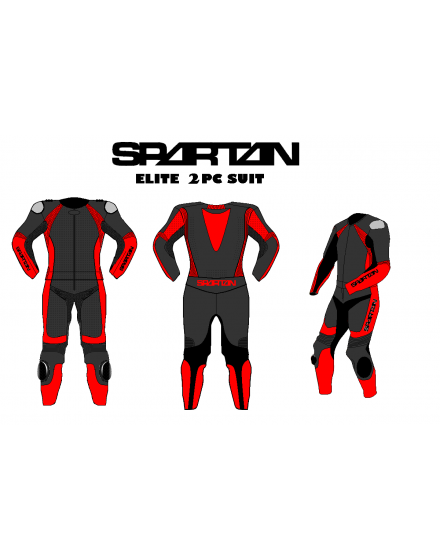 With features such as large seamless leather panels, large Schoeller Keprotec stretch panels, excessive use of stretch leather, and ample use of double layer leather these motorcycle racing leathers are sure to be a rockin' race suit that will survive many crashes. 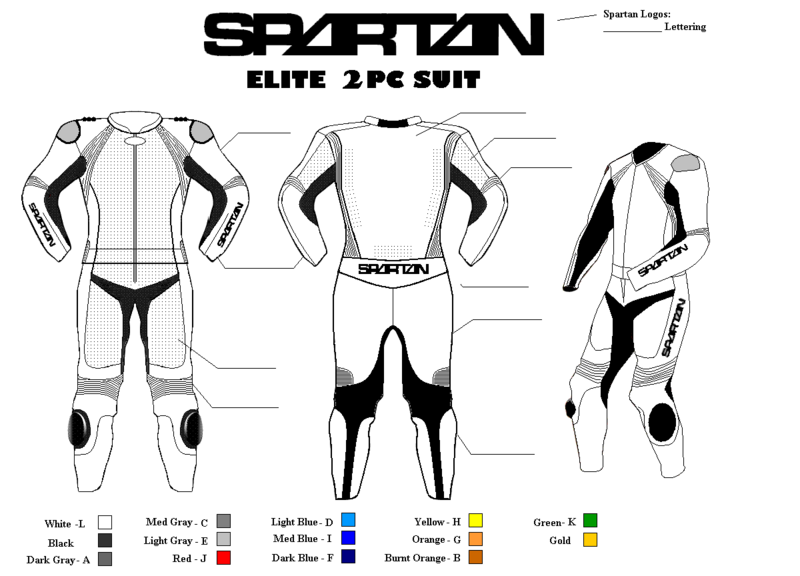 The next thing a race suit needs is flexibility. The first thing allowing flexibility is supple leather. The 1.4.mm premium grade cowhide leather that is standard in all my products is some of the most supple I've seen. Check. Next is stretch paneling. A large panel in the lower back allows good flexibility when in race tuck, and the paneling on the sides of the torso, and the front and back of the shoulder allows the upper body freedom to move, twist and flex. The elbows have a stretch panel that extends completely around the arm, providing excellent flexibility there. That translates to no more difficulty strapping on your helmet. Notice too the Keprotec panels on the inside of the arms, the crotch and behind the legs are large and strategically placed to allow a great amount of movement and to eliminate bunched and pinching leather.